Looking for an Oral Surgeon in Houston? Here’s What to Look For! Are you looking for an oral surgeon in Houston? We know it can be an overwhelming decision. Should you take your dentist’s recommendation, or branch out on your own? Consult friends and neighbors, or trust online reviews? We’ve got some ideas for helping you make the very best decision — because when it comes to your oral health, you can never be too careful. Keep reading for our top tips on choosing your Houston oral surgeon! It’s a good idea to listen to your dentist, as they’ve likely seen firsthand the results of the oral surgeon they’re recommending. But if your general dentist gives you a list of several dentists to choose from, you’ll still need a little help making the best decision. You can also do your research first and then consult your dentist to find out if he or she knows anything about your chosen oral surgeon. Next, see if anyone close to you has had a wonderful experience with an oral surgeon. What did they like about their experience? Is the procedure you require similar to theirs? Online reviews are also a big help in today’s decision-making. Check to see what current patients are saying about your oral surgeon, but remember that patients are usually only inspired to leave a review after a particularly good or bad experience. If there are negative reviews, take them with a grain of salt — and take note of how the oral surgeon responds to the matter. You want an oral surgeon who has substantial experience completing the oral surgery you require. You can usually find out about the doctor’s background on their “About Me” page, or by calling the practice directly to inquire about their experience. Look for an oral surgeon who demonstrates an interest in growing in their field. Look on their website to see if they’re a member of any professional organizations — groups like the American Association of Oral and Maxillofacial Surgeons provide opportunities for professional development and networking for oral surgeons across the country. 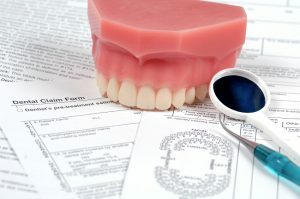 Another important thing to check for when choosing an oral surgeon is whether or not they accept your dental or health insurance. If you don’t have insurance, you may want to check into third-party financing to make paying for your oral surgery as comfortable and convenient as possible. Dr. Weil and Dr. Koo of Piney Point Oral & Maxillofacial Surgery have the experience, skill, and reputation that patients have come to trust. If you’re interested in receiving the very best care for your upcoming oral surgery, please contact our office to schedule your consultation today! Comments Off on Looking for an Oral Surgeon in Houston? Here’s What to Look For!